Climbing is not just for grown-ups! Even our smallest family members can benefit from the healthy & confidence boosting activities available at Climb Central. Climb together as family and reach for the skies! Climbing lanes suitable for both kids and adults to climb on! Kid sized climbing shoes and climbing harnesses. Advanced safety systems allow parents with no experience to participate. Climb at your own pace. 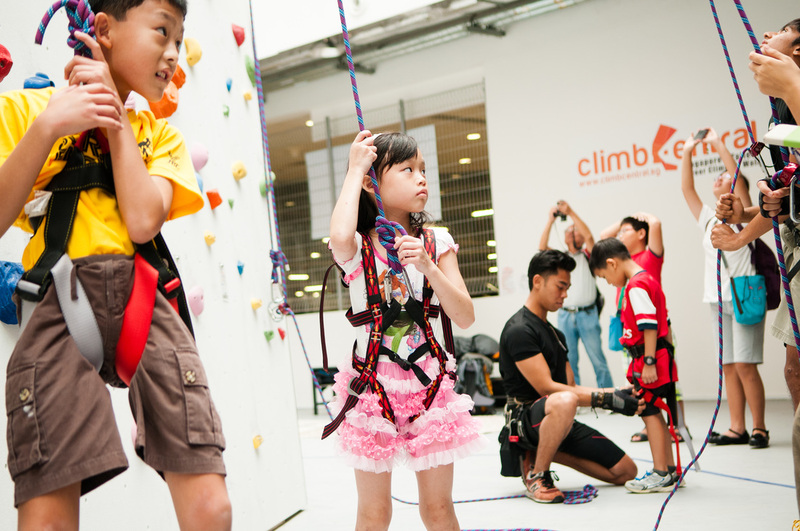 Our crew will conduct a 15 minute safety briefing to teach parents some basic safety and how to hold the ropes (also known as ''belay''). Climb together with your kids and encourage them to step out of their comfort zones. At least one supervising adult required for every two children entering the facility. Supervising adults will need to stay with their children in the facility and be responsible for them at all times. 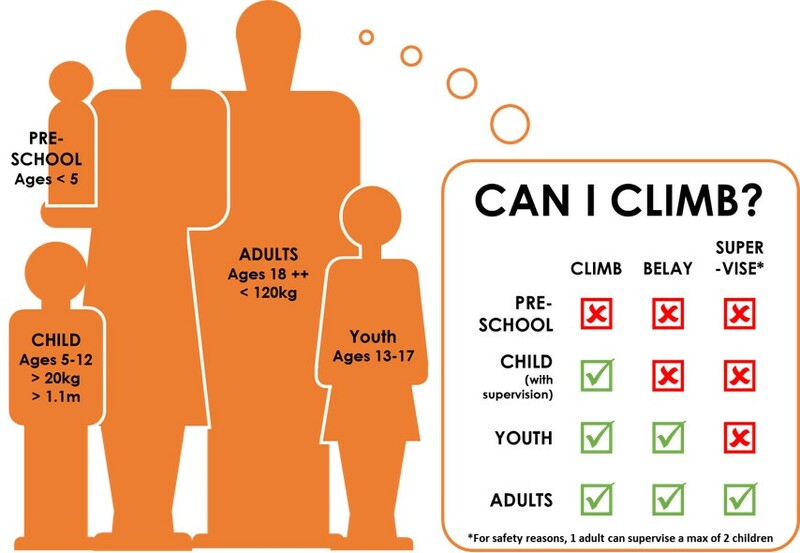 Adults need to be aged 18 and up, while children need to be at least 5 years old, 20 kg and and 1.1m tall to enter. For parents with children that do not meet the entry requirements, do ensure that you have someone else who can supervise them while you are participating with your other children. For those who want a little bit more guidance, Climb Central runs climbing courses where our friendly instructors will guide you through your climbing experience. 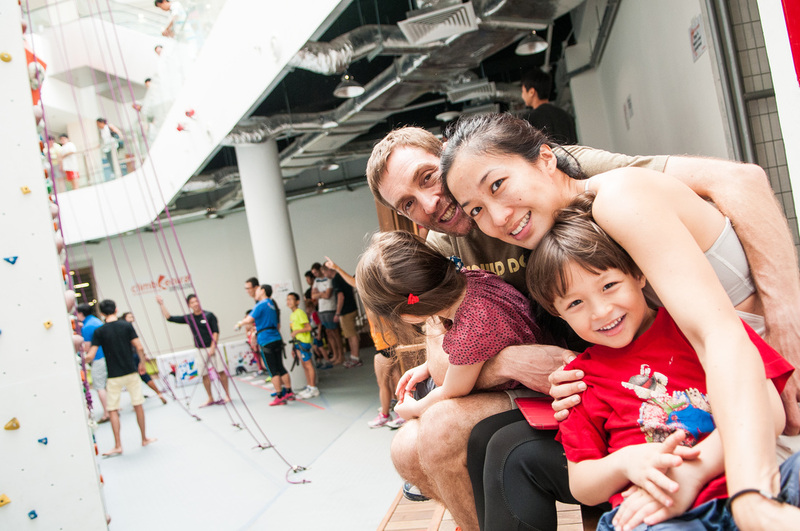 All kids programmes are drop-off sessions, so enjoy a coffee while your kids enjoy their workout!